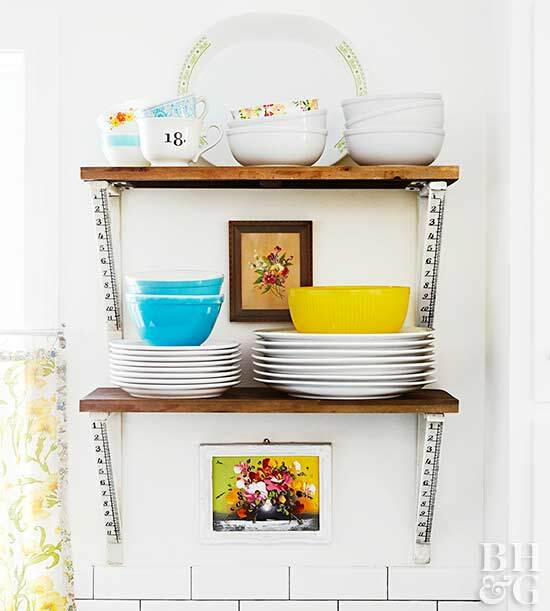 Turn your dinnerware into a display by hanging small paintings behind the stack of dishes on an open kitchen shelve or even two. The floral prints in the mismatched frames really contrasts with the plain kitchen walls. 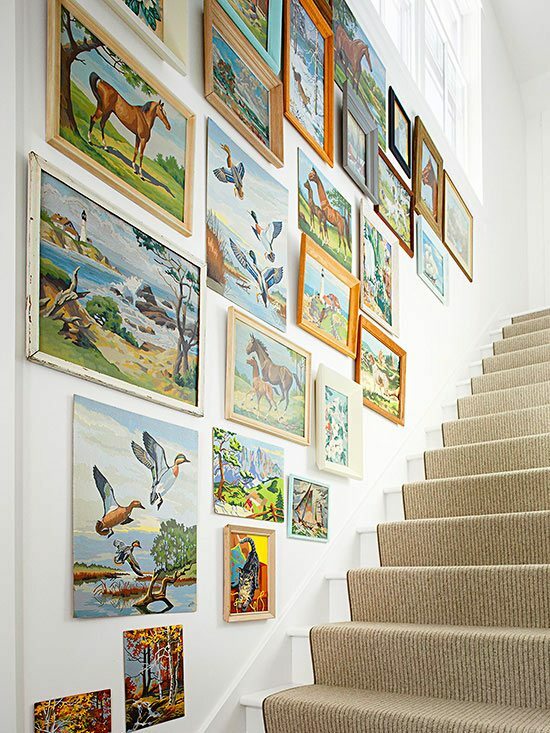 Line your staircase with eclectic animal paintings to create a striking gallery wall. 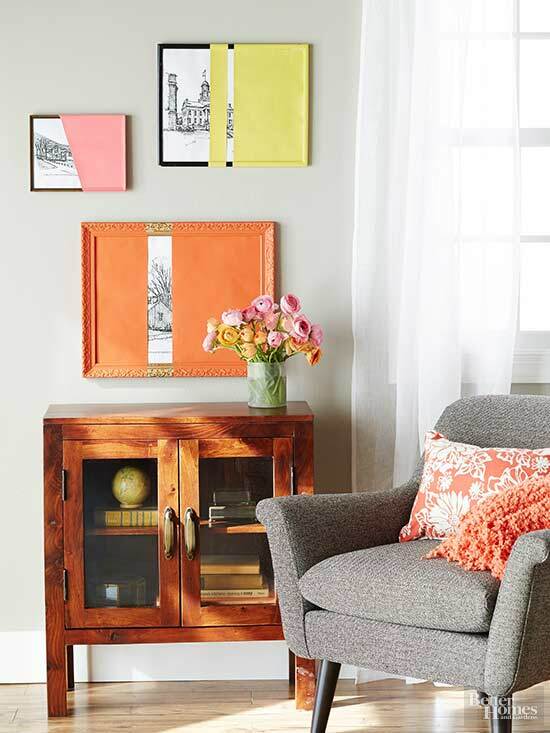 Mismatch the frames to give it a rustic look. But make sure you keep to a similar painting style to make things compatible. Use painter’s tape to protect the portions of the picture and frame. Make sure they are antique picture frames. Spray with your favourite color that gives it an eclectic spin to contrast with the rest of the furniture. The larger than life paintings might take so much space. 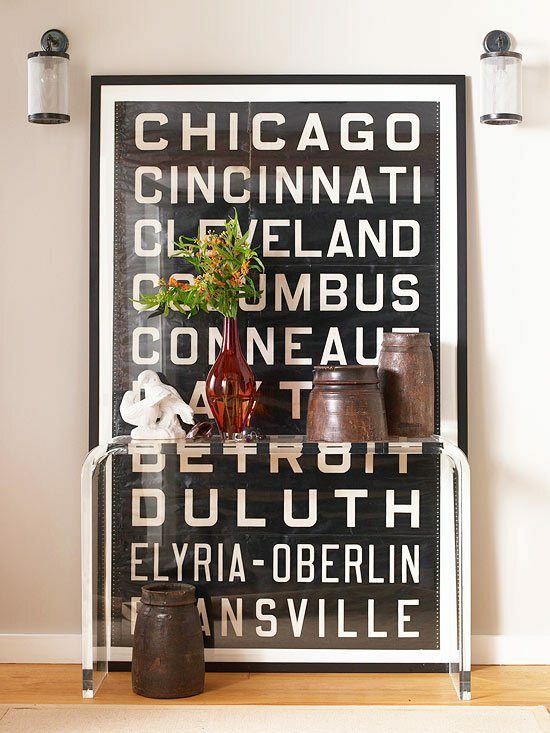 But add an acrylic table and entryway accessories help break up its dominance. a pair of sconces to add some symmetry to the display. Let’s unclutter the gallery walls. Instead, resort to a four-by-four grid of the same size prints that garner major style points that is a major show-stopper. Use a measuring tape to find out the center of the wall. Begin hanging the paintings at equidistant points. Print floral images onto old book pages and sew the pages into a frayed linen mats. Hang them in a row on the wall with simple paper clips. If you are feeling generous go for brown wooden frames that you can hang in rows. Hang large framed black and white fashion photos to give a touch of glam to any corner. An asymmetrical arrangement on picture ledges against a charcoal-color wall adds dimension.